Item # 309534 Stash Points: 2,395 (?) This is the number of points you get in The Zumiez Stash for purchasing this item. Stash points are redeemable for exclusive rewards only available to Zumiez Stash members. To redeem your points check out the rewards catalog on thestash.zumiez.com. 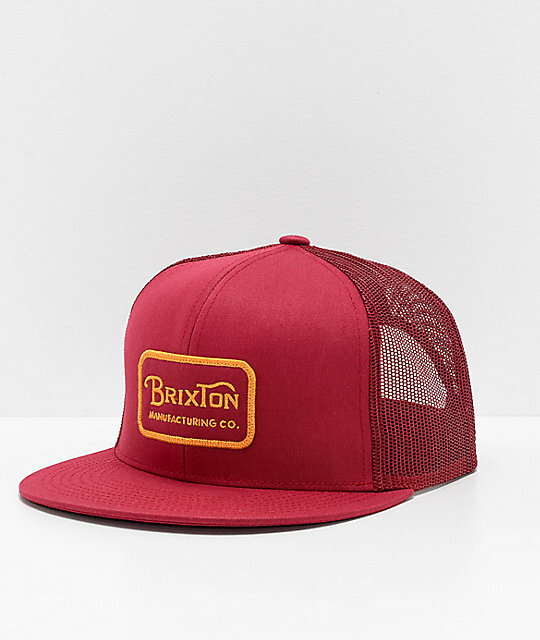 Step up your hat game with the Grade burgundy trucker hat from Brixton. This deep red hat is highlighted by a gold and red Brixton patch on the front crown. Red mesh backing, a flat bill, and snapback sizing piece complete this trucker hat silhouette with comfort and style. Grade Burgundy Trucker Hat from Brixton. Embroidered Brixton logo patch on the crown. 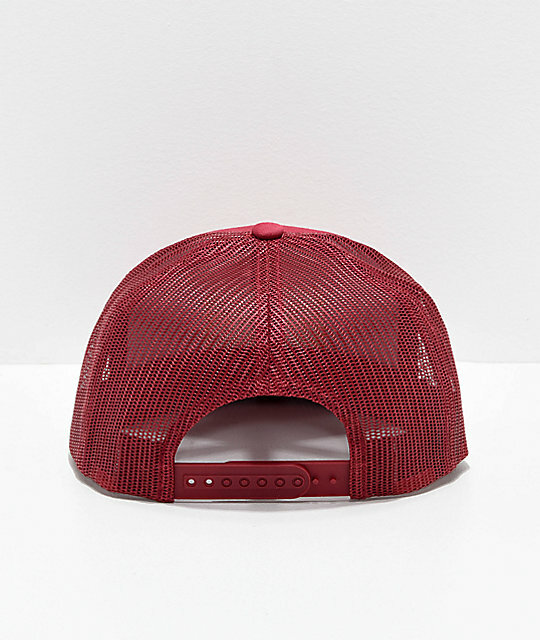 Classic trucker hat silhouette with burgundy colorway throughout.